LUXURY RENOVATED GOLF COURSE HOME! In Northampton Estates Subdivision, 4 Beds, 4 Baths plus additional Extra room can be use as office, Texas Size Master-Bedroom Fire place in, Features Separate nook area, Double Sinks, Walk-In Closet, Tub+Plus Separate Shower, Huge Living Room For Family Activates, Additional 3 Beds Upstairs, Chef Style Kitchen with Marble Counters, All Stainless-Steel Appliances Included Washer, Wine Fridge. Country Retreat Designer Pool with Lighting and Waterfall for Family and Friends Entertainment, Laundry Room with Washer & Dryer, Patio is facing WILLOW CREEK GOLF COURSE, Close to Tennis Court and Shopping Centers. DO NOT MISS THIS OPPORTUNITY ONE MONTH FREE RENT. This Home is a MUST SEE! At least 548 Trulia users voted on each feature. "great schools. friendly people. close to everything you need grocery stores, shopping, the malls, and easy access to 45, 1960, 2920, 242, 99, hardy toll and etc." "You need a vehicle to get around. Quite, clean, and safe. Pet friendly and walking the neighborhood is great. Parks are close by. " "This neighborhood is safe children friendly and officers patrol here quite frequently. Neighbors have their yards well maintained and are Holliday friendly." "Decent size fenced yards, parks within walking distance, and many other dog owners walking their dogs in the neighborhood"
"I've lived here for about 20yrs, it's quite most of the time. Some neighborhoods do things for holidays but not my neighborhood. HOA is quick to point out stuff and and charge but hard to spend money." "Love the convenience of everything around. The area is a good balance low cost and plenty of things to do. " "Easy access to two freeways. Traffic usually medium heavy, lots of cats but they keep moving. It is not a bad commute at all. " 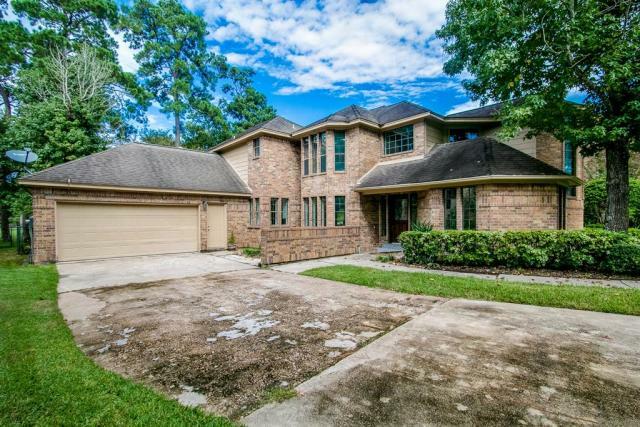 "Neighborhood has easy access to Grand Parkway, Hardy Toll Road, and 45. Short commute to work, but often lots of traffic to get to the woodlands. " "Many of the people who own dogs walk them around our neighborhood, the nice thing about it is that since the neighborhood has one entrance/exit there is less traffic making walking safer. " "Quiet respectable neighborhood No loud parties A police man lives on my street Yards are well-kept"
"I don’t see many people walking dogs. I assume most dogs stay in the backyards. It’s a nice area to live in. " "My neighborhood and neighbors have high standards for our community we help and watch over each other our HOA is outstanding as well "
"I’ve lived in my neighborhood for over 5 years, have been through 2 hurricanes. My neighbors are friendly, we look out for each other & help each other out when someone needs it. " "Great area to live peaceful and great neighbors. The standard of the up keep in the neighborhood is high"
"I’ve lived in Spring for 11 years and love the neighborhood and hope the schools turn around from its decline for me to stay. " "it's ok. place to walk your dog, not a lot of pets here.there is a park in walking distance , it has a misting were your prt can cool off . also there is a place not far. has a place for kid's and person. walking trails. picknick.tables , big play ground. good for cooler weather..with you pet. " "Well established, well kept up neighborhood with low turnover. Friendly neighbors, Constable presence, multiple pools & parks. Mature trees, community pride. Beautifully kept public areas. Easy access to Hardy Toll Road, I/45, Hwy 99. Lived here. 12 years and very happy with home & location. " "It’s quiet and well kept up no trash everywhere nice neighbors and it’s in a really nice area police patrols "
"It’s an older neighborhood with lots of mature trees. People take very good care of their homes & property. The neighbors are very friendly and often are chatting in the evenings & on weekends. It’s a neighborhood that feels like *home*!" "I have lived here for 6 years and feel safe and secure." "Grew up here, work here, and love Spring, TX. Close to The Woodlands without the extra cost. Easy freeway & toll road access. Great neighbors and beautiful mature trees. Houses that were built with quality components and to last. What more could you want? Did I mention the mature trees that you can't reach your arms all the way around? Oh and over sized lots too." "Located only a few minutes from the Woodlands and it's mall, but without the Woodlands pricetag! You are near, but not too near the airport and toll roads that get you quickly to far away areas around Houston without dealing with all of the stop-n-go traffic. All the restauants and entertainment you could ever want. With the new business developement, you probably won't be traveling very far for work. Great school district and colleges nearby. Plenty of Golf, parks, Waterpark, woodlands, lakes etc... Great place to live whether you are just starting out, in the middle, or retired! " 24702 Creekview Dr, Spring, TX 77389 is a 4 bedroom, 4 bathroom, 3,730 sqft single-family home built in 1984. This property is not currently available for sale. The current Trulia Estimate for 24702 Creekview Dr is $436,481.